A Pokémon's stats are one of the constant things across Pokémon and since 2002, they have been exactly the same across all of the main games. 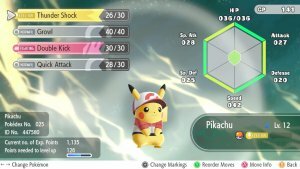 However, Pokémon Let's Go, Pikachu! & Let's Go, Eevee! have thrown things on their head with some major changes. First off, there are some returning mainstays. All six of the Pokémon's stats remain with the base stats being the same as previous main series titles. Natures return with the same effect as before and each Pokémon also has the same Individual Value (IV) ranges as before. There is, however, a change. Effort Values are not included in this game. 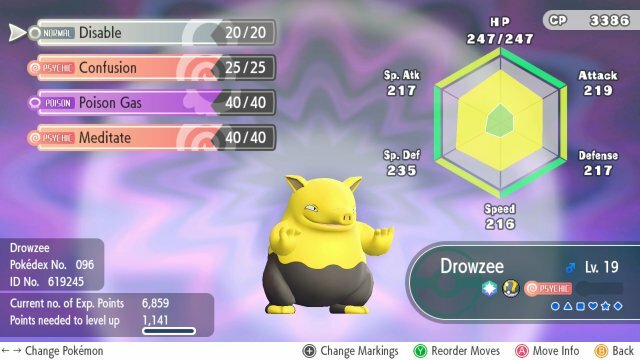 Awakening Values work differently to Effort Values in that when you use a Candy on a Pokémon, it will get a stat boost regardless of the Pokémon's Level. Previously, Effort Values required you to get 4 Effort Points to get +1 Stat Point at Level 100, with calculations done at lower levels but now the stat boosts are there immediately. 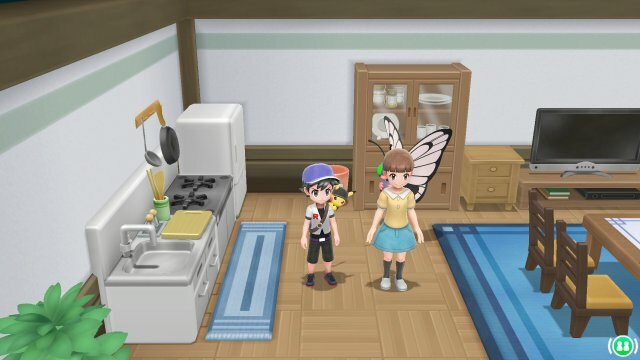 This changes things with how a Pokémon is trained because they can now breach previous ceilings of stats. For example, each AV gained provides 1 stat point. 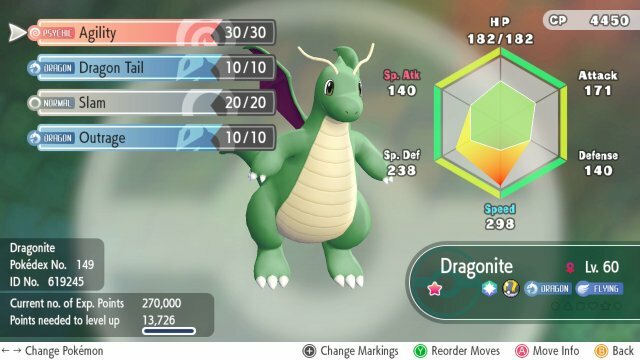 This is regardless of the Level of your Pokémon, and you can have up to 200 AVs in each stat, with no upper boundary so you can have all stats maxed out. This means that you could easily have a low level Pokémon with stats that it would have at say Level 100. In these games, to boost a Pokémon's stats, you don't train against wild Pokémon. Instead, you obtain various Candy. This candy can be obtained by releasing Pokémon, catching some Pokémon and by completing mini-games in Pokémon GO Park. In the multiplayer, players can select between two rulesets. One which allows AVs and one which does not. Getting AVs is relatively simple. While each level you will get a random AV with each level up, you can boost them up even higher at various levels. This is done with Candy but each Candy has got specific minimum requirements and maximum usage. Plus, as you go through and get higher AVs in each stat, you end up requiring more Candy to get just 1 AV. For example, to get a Pokémon to an AV of 49 from 48, you need to use 20 standard Candy rather than just one. It's always more advisable to go for the Species Candy, but that Candy is very hard to find, especially in regards to Legendary and Mythical Pokémon, as it's only available by Catch Comboing the species of Pokémon, transferring them, or walking with them in the Poké Ball Plus. Due to this, here's a chart of required candy for each option. If your Pokémon already has some AVs on it, either from other candy and levelling, you can still use Species Candy and it'll keep boosting stats until all stats are at 200 AVs, even if one stat reaches 200 before the rest.